Famed tourist resort Sanya received a record number of tourists during the seven-day Spring Festival holiday following a campaign by local authorities to regulate prices and services. About 564,000 tourists visited the southern city in Hainan province during the period, an increase of 16.5 percent from year ago. Tourism revenue totaled 4.36 billion yuan, up more than 31 percent, according to the statistics of the Sanya tourism administration. With its tropical climate and sun-kissed beaches, the coastal city has long been a popular wintertime destination, especially for visitors from cold northern climes. Yet as the tourism industry grew rapidly, so did complaints about service and prices. The city government’s latest move to address the problem took effect at the beginning of the year. Some of the measures were temporary during the Spring Festival period while others are meant to be implemented for the long term. The initiatives were publicized through the media across the country, telling potential tourists they could now expect a better holiday in Sanya during the Spring Festival and beyond. Among the initiatives was a taxi fleet established by the city’s transport bureau to cope with high flow of tourists over the seven days. 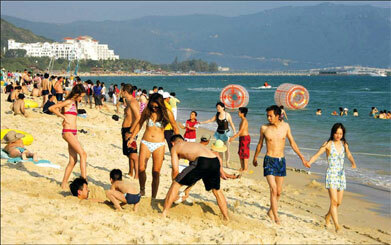 A price ceiling of 5,000 yuan was set for all hotel rooms at the seaside resort during the holiday. Tourism officials said the average price for a hotel room decreased nearly 16 percent from a year earlier to 2,873 yuan. One of the long-term measures is to standardize prices at local restaurants and food venders. In the years past visitors complained that prices at some seafood restaurants and stands were not transparent and some were cheating customers. At the start of the year, Sanya’s administration for industry and commerce, the market watchdog, established a special team to respond to tourist complaints. Regular checks were made at the city’s major food streets. All vendors were urged to comply with the city’s pricing regulations. Another move was better protection of the local environment. Government officials and volunteers went to every site to pick up rubbish and asked tourists not to litter. In addition to efforts to bring order to the market and landscape, the local government and tourism businesses organized a slew of events to attract tourists. For instance, a large carnival called LuHo Sanya began in January and lasts through this month. LuHo is the Hainan dialect of nihao , or hello in English. 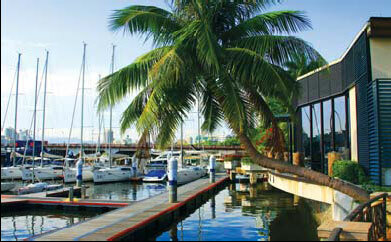 The event is designed to attract tourists by showcasing the colorful culture and tourist sites of the island province. Major activities include lantern displays, acrobatics, circuits, singing and dancing shows, concerts, parades, food festivals and sports meetings as well as exhibitions.